This is the era of selfies and mobile phone companies are battling it out when it comes to selfie camera feature. 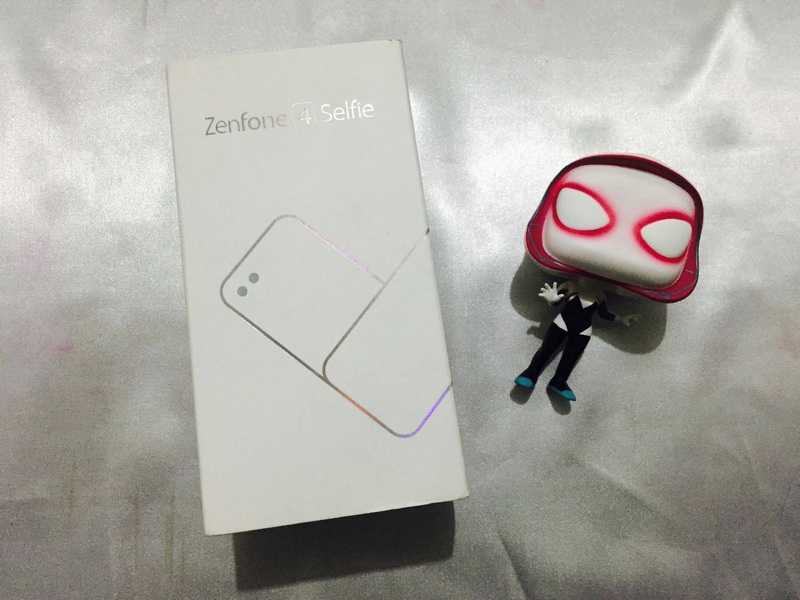 And just recently, ASUS launched its latest Zenfone 4 Selfie. Just a recap though, this is not the first selfie phone of ASUS, it all began with Zenfone Selfie. 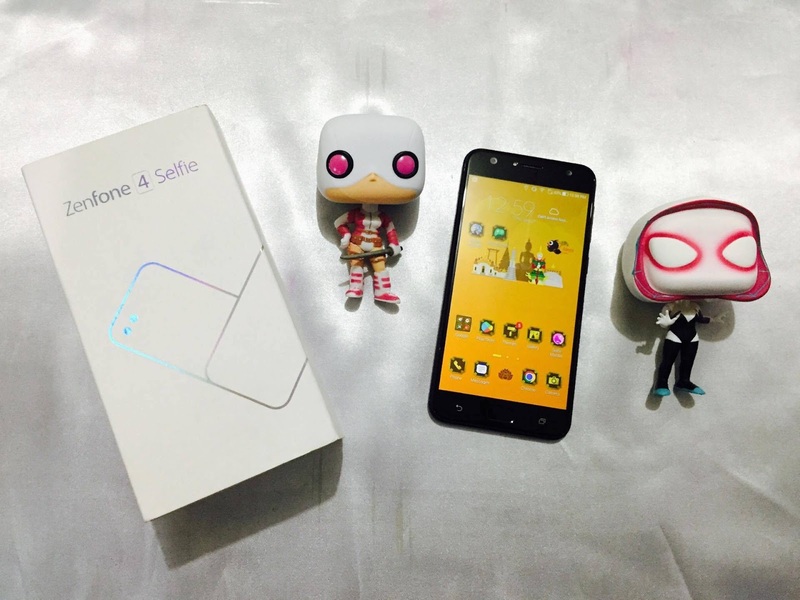 Read more here-- Zenfone Selfie. I like that it is lightweight and doesn't have that slippery-feel like other mobile phones. Of course, I got excited with the 64GB memory and 4GB RAM- perfect for playing games, and the size is just right for my hand. The 16mp camera seems impressive (check the photos) although I am not that keen on the blue cover (but my hubby and daughter likes the color so its just me. I like pink or white!). The OS Nougat can also be updated to Marshmallow ----> Oreo. Included in the box (aside from the phone) are the usual stuff like charger, earphones, and a free case. Multi-tasking mode: This is a perfect feature if you are checking emails (or reading a blog), and chatting with someone at the same time. 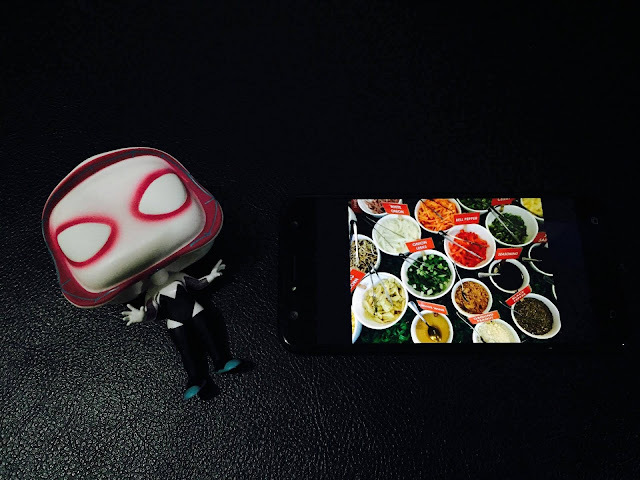 Not all phones support this multi-tasking mode, so thumbs up for Zenfone 4 Selfie. Perfect for playing MOBA games: I've been hooked on Mobile Legends for quite some time now so I was excited to test Zenfone 4 Selfie as a gaming device. This phone is perfect for games! For those with small hands (that's me), your hand won't easily get tired even if you play for hours. 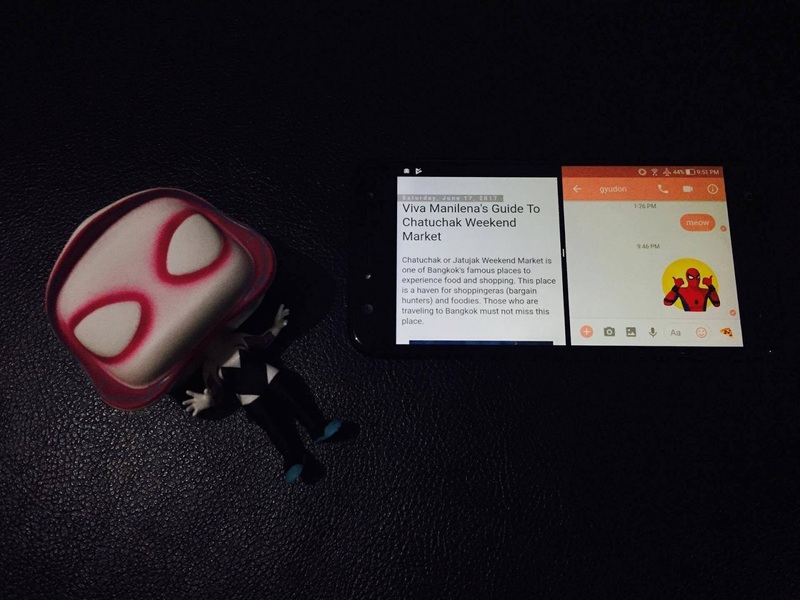 The screen is also easy to manipulate also. Of course, the 4GB RAM is suitable for a nice gaming experience. The graphics are also very nice and not "laggy," and that contributes a lot when you are a gamer. 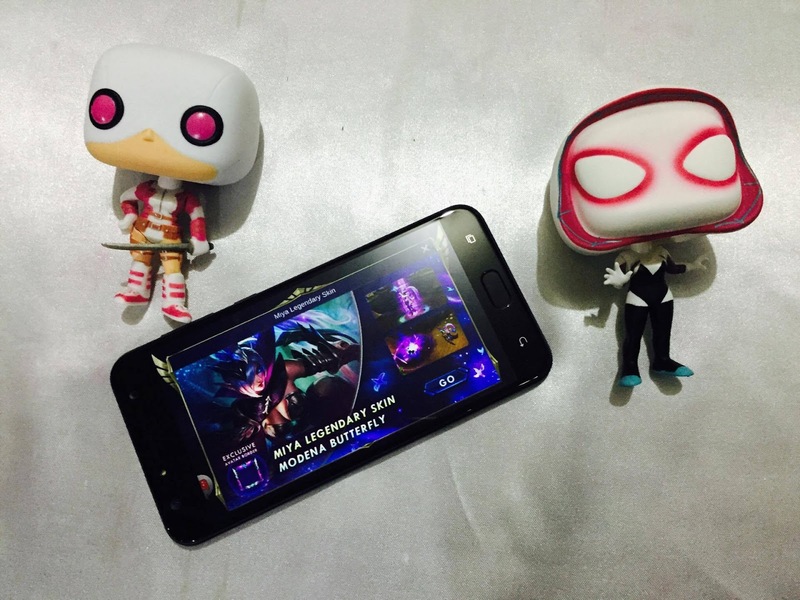 I haven't tried using the earphone when I used the phone to play Mobile Legends but instead, relied on the phone's speakers which gives off clear "fighting" sounds. Here's my rear camera shot- Isaw. This was taken past 6pm in a food market in BGC. I just used the automatic setting when I took this shot and was amazed at the clarity and photo brightness. 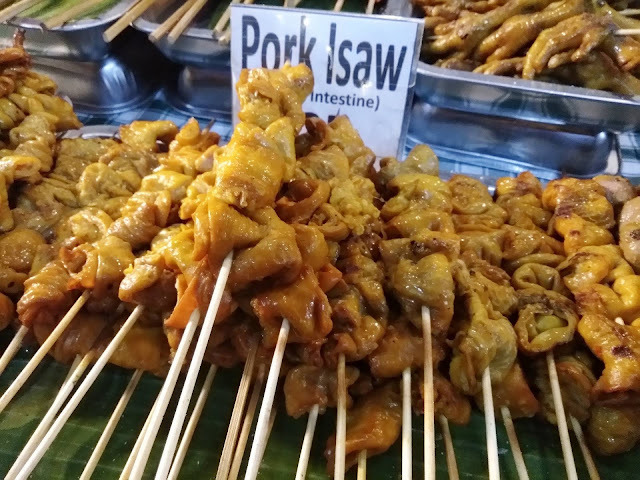 The "isaw" really looks delicious and mouthwatering. 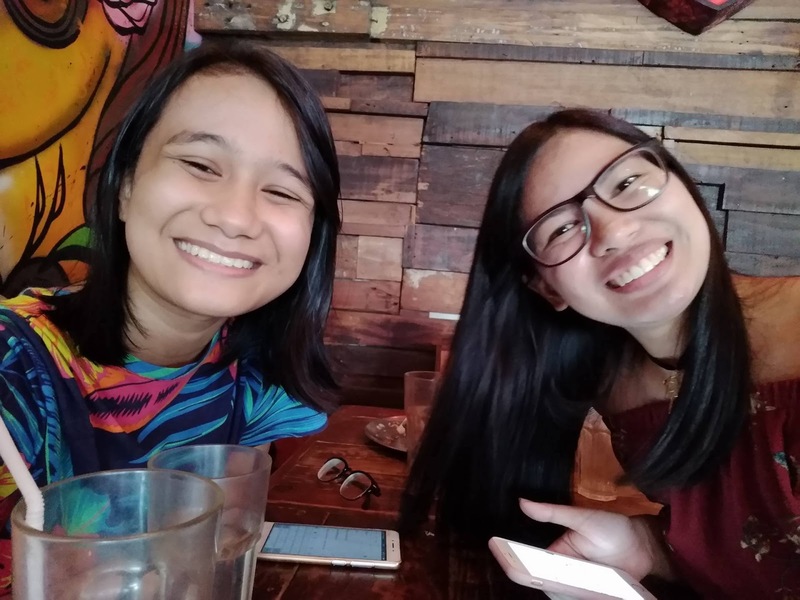 Here is an actual shot as seen on the Zenfone 4 Selfie's screen. Notice how vibrant the colors are. Photo taken around 6pm using auto-mode. So I was going to charge the battery because it ran out while I was playing but it suddenly hanged. Don't panic! Actually, I did a bit- hahaha. All you have to do is press the "power" button for about 10-15 second and it will go back to normal. Mobile phones nowadays have a big difference with the super old models wherein you just open the case and remove the battery, and then the phone will be alright again when you turn it on. 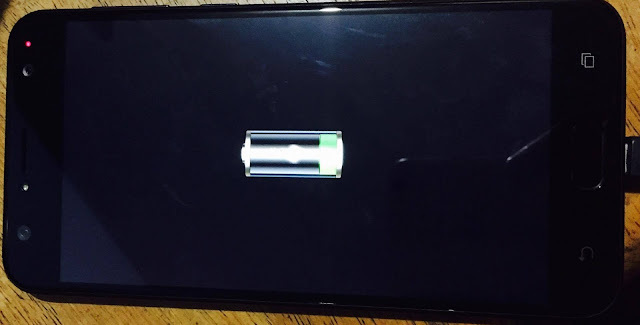 On the other hand, the battery leaves a lot to be desired since if you use the phone a lot (games, video, music, sms & call, etc) you really need to bring the charger or a powerbank. Battery capacity is just 3000 mAh which is not really enough if you are connected to the wifi the whole day. But if you will just use the phone as it is (call & sms), then its okay. My last cellphone was an Asus ZenFone 2. I was pretty pleased with it. I used it for 2 years and now my husband has it. :) This version looks like a really nice upgrade. How much does it sell on retail? I am using another brand now, but i am looking for a back up phone. 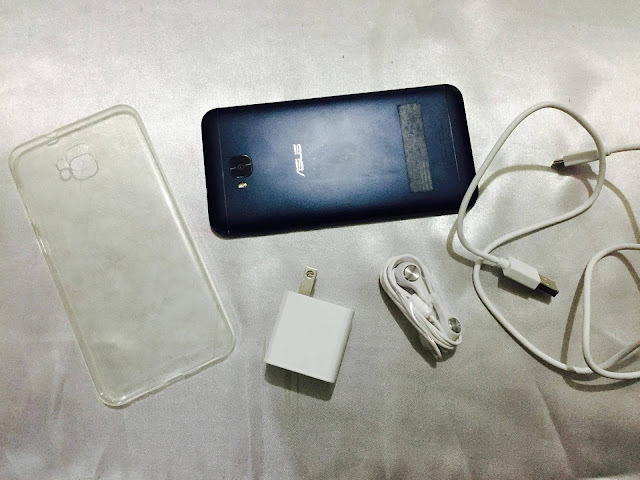 ASUS Zenphone Selfie looks sleek and I like that it takes real nice pictures too. I'm not into selfie photos but I prefer phone with good camera MP. When I'm out, I like taking pictures but I don't bring camera naman so dapat okay ang phone. :) I haven't tried ASUS brand yet but it looks affordable. My colleague loves Azus Zenfone though I haven’t tried it. Base on your reviews I think I’m gonna check it on the market. It can be a perfect gift for anyone. My husband just purchased a zen phone, too, and sadly he got a few issues.. he had it repaired and it's working pretty well. He still prefers his old Alcatel in terms of memory.